For three days from June 6–8, 2018, a curated group of business leaders from some of the most impressive brands in the space gather at a world-class mindfulness retreat center in the heart of the redwood forest to have real, unfiltered conversations about what’s really working for conscious leaders and businesses. If you feel you should be in this room, please apply today to reserve your spot and get the best ticket price. 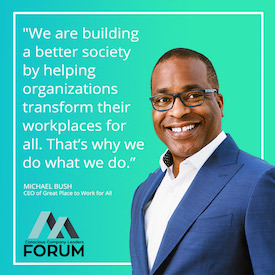 The Leaders Forum is designed to bring together key executives, decision makers, and business leaders who can have real conversations about what matters most in conscious business. In order to facilitate a transformative experience, Conscious Company curates the attendees on an application-only basis to ensure that every single person in the room is able to engage with and contribute to high-level, nuanced conversations about business and build an incredible conference experience together. The 2017 Forum had over 1,000 people apply for 200 spots and completely sold out. Conscious Company has increased capacity for this year’s event to 300, and expects to sell out quickly. The Forum is an unparalleled experience where we have deep, raw conversations as business leaders for multiple days. There are no keynotes. No slides. No listening to someone talk at you for hours on end. No, the Leaders Forum is a space where business leaders come to connect, collaborate, and truly engage with each other. Everyone in the audience will be a peer who you can learn something from, not someone who will be pitching you on their product or service. And we require our speakers to drop the façade and talk about what it’s actually like to be a business leader, so we can learn from each other’s mistakes, challenges, and triumphs rather than hear canned, polished speeches. In short, it’s the one event where business leaders come to truly be themselves and find others who they can learn from on their journeys. For members of the 3BL audience who are accepted to the Forum, please use the code CCLF_3BL for a full 30% discount on your ticket.